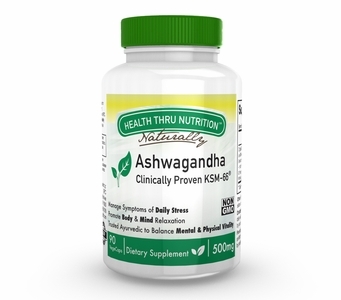 Our KSM-66 Organic Ashwagandha is the highest-concentration ashwagandha extract available anywhere. It is produced using only the roots of the ashwagandha plant and a revolutionary extraction process that use absolutely NO alcohol or any other chemical solvents. The result is that you get the purest, most potent, full-spectrum, root-only extract Ashwagandha available with a HIGHEST 5% Withanolides content. Best of all, this potent, Non-GMO, product is made in the USA in our certified cGMP Facility. It�s quality and potency is unbeatable. Ashwagandha is the root extract of Withania Somnifera, also known as Winter Cherry, a premier herb of Ayurveda, the traditional system of medicine from India. The herb, ashwagandha has been used for centuries but is only now experiencing major growth worldwide because of numerous recent studies in pharmacology and medicine. Ashwagandha promotes balance in the body. 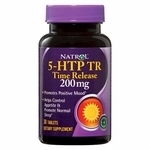 It is an adaptogen that amplifies the body�s ability to self-regulate key systems, specifically, the neurological, immune, reproductive, endocrinal and energy-production systems. KSM�-66� Aswagandha has won the prestigious Frost & Sullivan 2014 Product Innovation in Botanicals Award, and the Best Botanical Ingredient Award for 2013 at Natural Products Expo West. KSM�-66� Ashwagandha has been clinically studied (to date 7 human clinical trials) and demonstrated ability to reduce stress, anxiety, and cortisol levels. In another study with highly athletic adults, it has showed improvement in energy and endurance, and in additional trial improvement of sexual function and Testosterone levels has been recorded in Men. Free of: egg or egg by-products, fish or fish by-products, shellfish or shellfish by-products, tree nuts, peanuts or peanut by-products, soybeans and soy by-products. Directions: Adults: take one (1) to two (2) vege-capsules daily with food as a dietary supplement or as recommended by your healthcare professional. KSM-66� is a registered trademark of Ixeorial Biomed Inc.
Health Thru Nutrition� is a trademark of EPIC.